The U.S. variants of the Samsung Galaxy S3 will receive their Jelly Bean updates in…the “coming months.” That’s the official word this morning out of Samsung, which is about as much detail as we had to go on when the updates actually did start rolling out for international versions. Samsung is also leaving it up to carriers to announce their specific updates and timing. I’d try to make predictions, but that would be too painful, as we know how long it takes some of these carriers to update stock phones, let alone something that has a skin on it. When the update does arrive, Samsung plans to toss in a handful of new features. The camera and camcorder will have new filters like warm vintage, black and white, and sepia. There is a Pause and Resume video recording feature so that you can string together multiple videos from an event into a single file. They are also introducing a new low light photo mode. Aside from camera enhancements, Samsung will update Pop Up Play to match the resizable version of the Note 2, an Easy Mode for dummies, and new keyboards including Swype. DALLAS — October 17, 2012 — Samsung Telecommunications America, LLC (Samsung Mobile) – the No.1 mobile phone provider in the United States and a subsidiary of Samsung Electronics Co., Ltd., the No. 1 smartphone provider worldwide1 – continues its commitment to bringing the latest innovation to market with the rollout of Android 4.1, Jelly Bean, the latest version of the world’s most popular smartphone operating system, to all Galaxy S III smartphones in the U.S. in the coming months. The update will be made available both over the air and as a download via Kies, Samsung’s content sync and software update solution. The specific timing and update method will be announced by each carrier partner, AT&T, Sprint, T-Mobile, Verizon Wireless and U.S. Cellular. Galaxy S III owners will receive the Jelly Bean update as well as a host of new and enhanced TouchWiz features, making it a faster, richer and more responsive device experience. Samsung’s best-selling flagship smartphone just got even better. 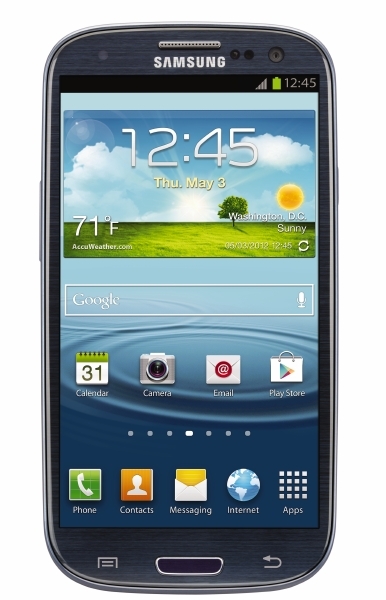 Pop Up Play Update: Users can now easily resize or pause the Pop Up Play picture-in-picture video window, taking full advantage of the Galaxy S III’s powerful processor and large 4.8-inch screen. Easy Mode: Easy Mode is a simplified user experience option for first-time smartphone owners, providing large home screen widgets that focus on the device essentials. The Easy widgets include both 4×2 and 4×4 arrangements of favorite contacts, favorite apps, favorite settings, clock and alarm. Google Now™: Google Now gives users the right information at the right time, like how much traffic to expect before leaving work, when the next train is scheduled to arrive at the subway station or the score of a favorite team’s current game – conveniently delivered as notifications. Additionally, Google Now provides powerful voice assistant functionality across a range of domains, including weather, maps, navigation, search, image search, flight status and more. Google Now can conveniently be launched from the lock screen shortcut or by a long press on the menu button from any screen. Rich Notifications: Notifications can now expand and shrink with a pinch to show the right amount of information a user needs. Notifications have been enhanced so action can be taken without having to launch the app first – like sharing a screenshot directly from the notification. In addition to the operating system update, Samsung and ESPN worked together to integrate AllShare® technology into ESPN’s popular ScoreCenter® application. This means Galaxy S III owners will now be able to wirelessly push on-demand ESPN global sports coverage and highlights from the ESPN ScoreCenter app to their Samsung SMART TV™. When on the same Wi-Fi network as a Samsung SMART TV, a sharing icon will appear within the ScoreCenter video player which allows users to seamlessly push what they are watching to the TV. The ScoreCenter app with AllShare integration is available today for download through S Suggest™ on all U.S. Galaxy S III devices. AllShare® Cast Wireless Hub: The AllShare Cast Wireless Hub accessory allows users to wirelessly mirror their phone screen to any HDTV or HDMI® display. Whether it’s sharing pictures, browsing the Web, playing games, streaming music, watching videos or projecting business presentations, users can control the action on the big screen wirelessly from their smartphone. AllShare Cast Wireless Hub even supports licensed content playback of premium TV and movies. Samsung, Galaxy, TouchWiz, S Suggest, AllShare and Smart TV are trademarks of Samsung Electronics Co., Ltd.
Android, Google Now, and other marks are trademarks of Google Inc. Other company names, product names and marks mentioned herein are property of their respective owners and may be trademarks or registered trademarks.